1. Soak the cod in cold water overnight, discard and replace the water sever times (soak during the day so you don't have to wake up at night :) ) Make the batter and add the lemon juice. 2. Boil the fish until tender, cut into strips when cold and stir into the batter. 3. 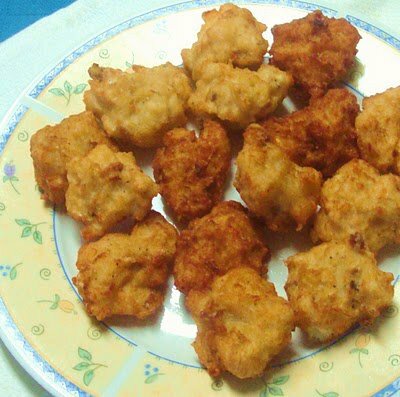 Deep Fry as small balls until golden brown. 4. Drain and serve hot. This entry was posted in By Course, Fish, Recipes, Second Course and tagged Fish, food, Hut, Recipes, traditional maltese recipes. Bookmark the permalink.